The Encore Controller SC supports up to 24 inputs and six destinations, comprised of Encore Video Processors, ScreenPRO-II and ImagePRO processors. Designed for both single screen and wide screen blended destinations, the Controller SC offers 64 presets, plus almost all the features included with the larger Controller LC. 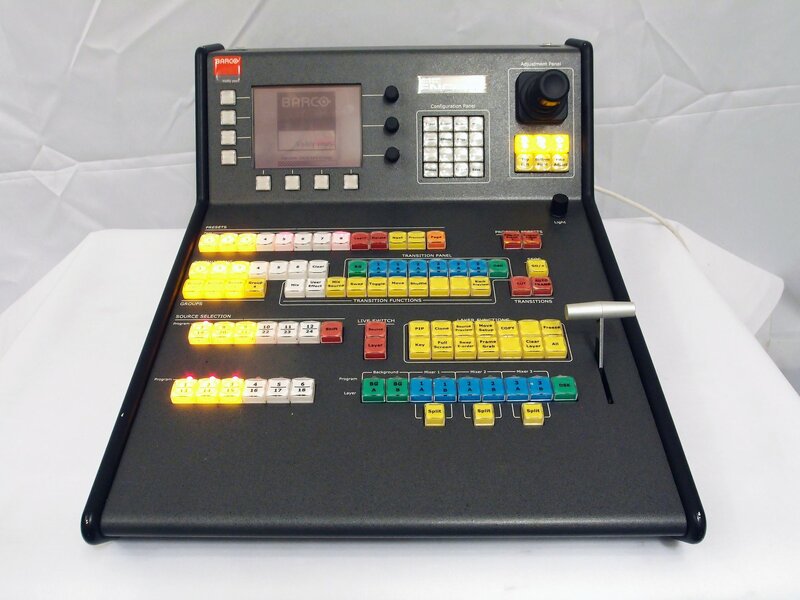 The SC’s compact design is ideal for tight production environments, and is just as roadworthy as the larger model LC. 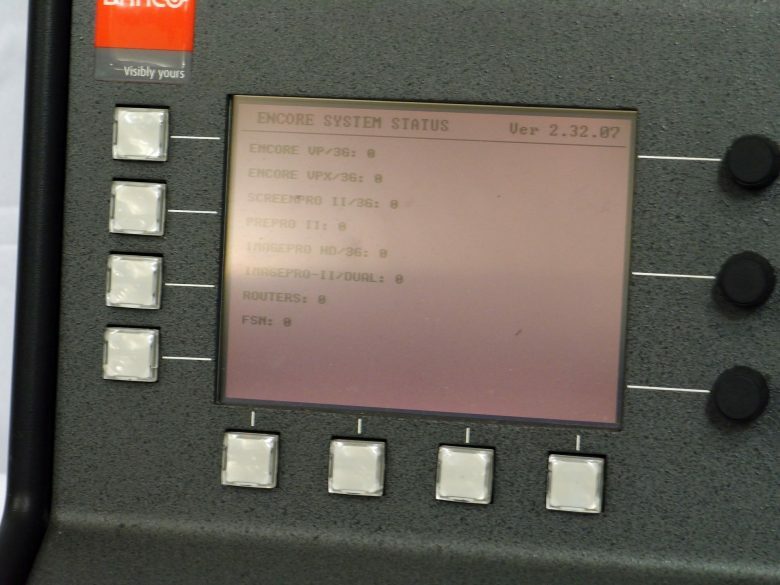 The use of high quality routers is an integral part of the Encore system. Barco is pleased to announce a complete line of routers for use with the Encore system. 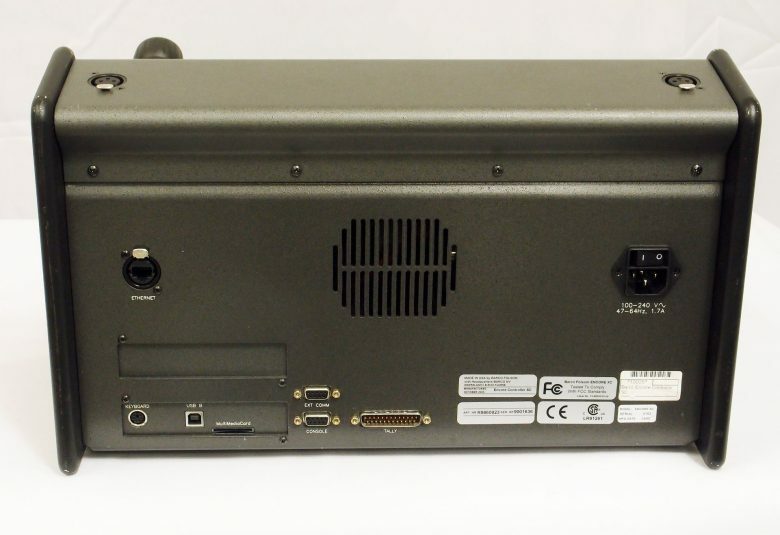 The line consists of a variety of both analog and digital routers including SDI and HD/SDI units. All of our routers are designed and tested to ensure quality, reliability and ease of use. The Encore system is also compatible with other manufacturers’ routers.